Buy 3 and save 25% ! A one size fits most bracelet made from natural Red Jasper beads strung on a durable elastic band.  Beads - 4mm - Bracelet unstretched - 2 1/2". 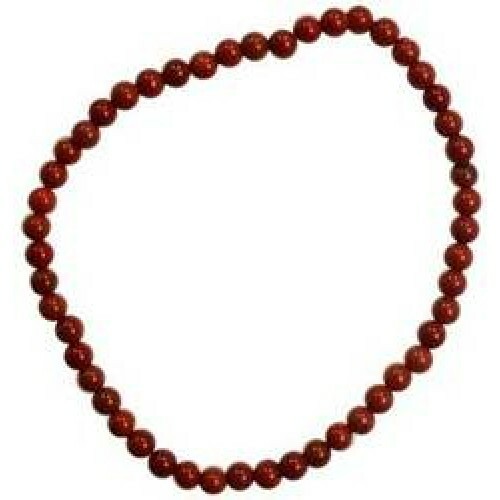 Red Jasper is connected to the sacral and root chakras. It helps in enhancing your vitality, stamina, and endurance. 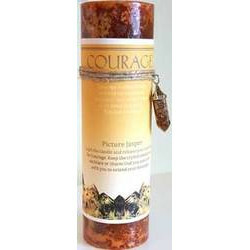 ...Red Jasper a good stone for healing both in a physical and metaphysical sense. It helps in removing the energy blockages in the chakra to bring an overall balance and improved health. 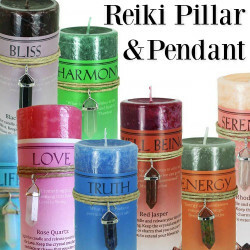 This Reiki Charged pillar candle has specifically been crafted to help you find the courage you need..
Buy 3 to save 25% ! 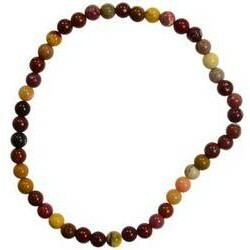 A one size fits most Mookaite Jasper bracelet made from natural stone..